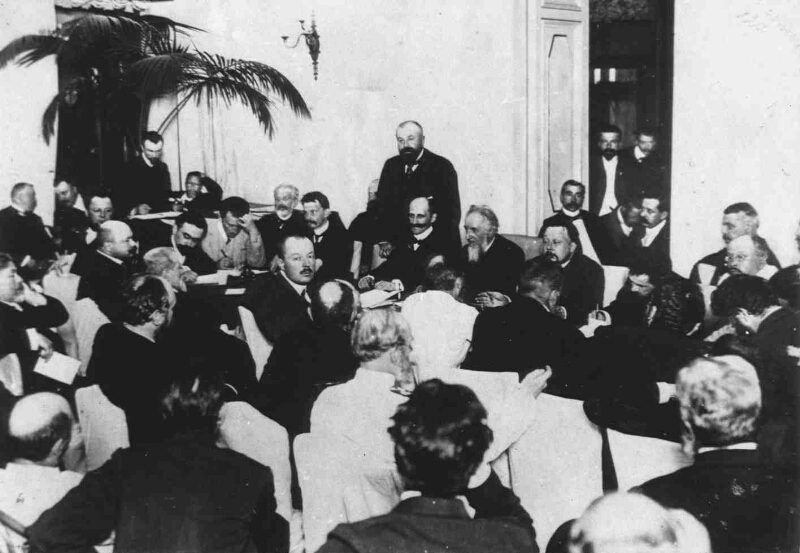 Meeting of the Zemsky Congress [July 1914, Moscow] [Izomaterial]: [photo]. - [Moscow, July 1914]. - Projection print from the negative, black and white; 9x12 cm. - Russian State Archive of Film and Photo Documents. http://www.rgakfd.ru/. 1. All-Russian Zemsky Union - Photos. 2. Power (collection). 3. Group photos. 4. Documentary photos.